Our graphic book The Resonance Code Volume 1: MAPS is now on Amazon in both full color and black-and-white editions. Aside from the text, a significant amount of information in the book is conveyed through illustrations and drawings. The graphics and photographs weave a rich background tapestry to the presentation. Human civilization is at a crossroads. Challenges of immense volatility and uncertainty press us to evolve our ourselves at a greater pace than we have ever done. We need to heal and revitalize the inner terrain of the psyche so our consciousness can respond creatively to the complexity that surrounds and challenges us. The Resonance Code is born of a marriage between ancient and modern, East and West. Its ancient and Eastern sources are Taoist Philosophy and the I Ching, one of Earth’s most ancient complexity theories. Its modern and Western sources are contemporary theories of human development and practices of leadership coaching. According to the Taoist framework, the human psyche functions as an organic “resonator,” directly exchanging and amplifying resonance – known as qi – with its social and natural environment. Qi carries information essential for our growth and thriving as individuals and as a species. However, on our modern, materialistic path of development, our cognitive minds struggle to process this subtle exchange between ourselves and our environment. This disconnection leads to much of the grief, loneliness, and pervasive distress we experience today. 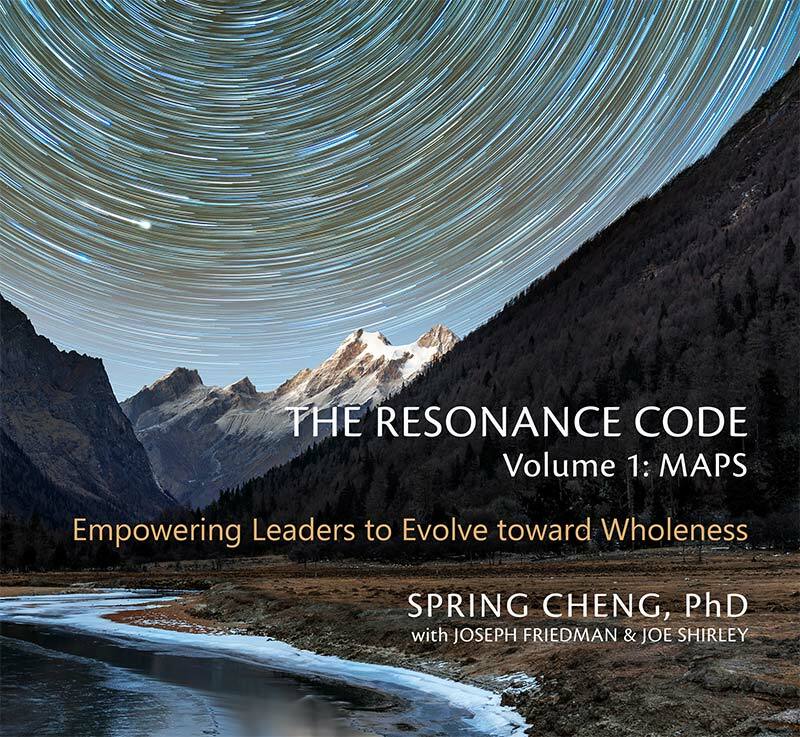 The Resonance Code presents a knowledge system developed through a leadership training curriculum at Resonance Path Institute. This system aims at awakening the psyche to resonance. It enables the rational mind to evolve beyond current limitations so we can dance with complexity and embrace uncertainty as the fertile ground of creativity. The Resonance Code is calling forth a new generation of resonance leaders. These are people who may or may not hold conventional leadership titles, but who love the Earth, feel compassion for all its inhabitants, and are committed to participate in humanity’s evolutionary journey. The electronic version of the book is available for viewing below. You may also download the PDF file. If you download the PDF, we invite you to make a contribution to our work below. You may select the amount that feels right to you. If you’re inspired to contribute more, please contact us for payment details, (and a thank-you from us! ).